When it comes to installing a ceiling fan, many Maryland homeowners think they can handle everything themselves. 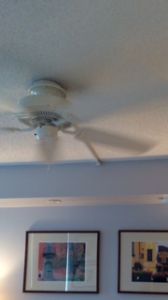 Unfortunately, ceiling fan installation, no matter how simple it may appear, is not a DIY job. There are several factors that need to be taken into consideration even during “simple” installations. For instance, trying to install a ceiling fan into a box not rated for the excess weight of a new fixture could result in injury, property damages, and electrical hazards. And what about ceiling fans on concrete ceilings? It is always better to trust the installation of ceiling fans and heavy fixtures to professional electricians. Heavy Fixtures: “We have seen the result of an improperly installed fan by non-electricians on a light weight fixture box and it is not good,” said TriStar Electric owner Dave Crawford. “These boxes are only rated to hang the weight of a standard light fixture and are not the type of supported outlet box that is mandatory per the national electrical code for this type of installation.” Click Hereto learn more. Concrete Ceilings: When installing a ceiling fan on a concrete ceiling or a ceiling with obstructed, hard to fish wires, slim wire molds can be used to hide those unsightly wires in the most discreet way possible. Just take a look at the picture in the upper right. You barely even notice the wire mold. Whether you want ceiling fans installed inside or outside of your home, TriStar Electric can take care of your project quickly and efficiently. It all starts with a home visit. 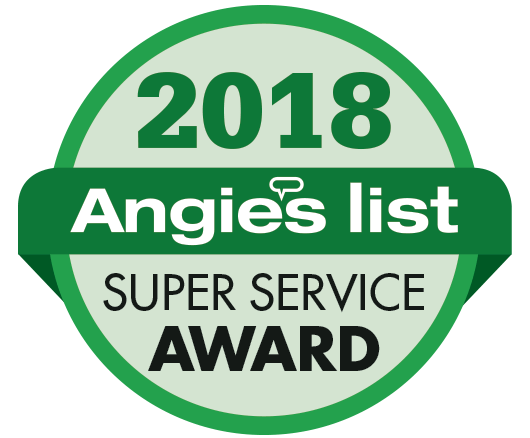 A TriStar electrician will examine the area where the fan will be installed and make recommendations – fan size, number of fans, need for wire molds, etc. – based on the size and shape of the room. Our electricians are highly experienced and will make sure that the fan is securely installed and properly balanced. You can easily impact the comfort and energy efficiency of your home (saving you money on your monthly utility bills) by simply changing the rotation of your ceiling fans this winter. Summer: Rotation should be counter clockwise, pushing air down to circulate air from the floor back upward. Winter: Rotation should be clockwise, re-circulating warm air that is trapped on the ceiling. If you have any questions about Ceiling Fan Installation, please contact TriStar Electric by calling 410-799-5791 or 301-384-8880 or fill out the contact form on our website. Our electricians can provide you with a competitive quote that covers every stage of the process – from installation to final testing. This entry was posted on Thursday, August 14th, 2014 at 5:54 pm. Both comments and pings are currently closed.